Oklahoma Sooners Football: Is Bob Stoops Underrated? Since Bob Stoops arrival at the University of Oklahoma in 1999, most Sooner fans have tried to put the memory of the lost decade of the 1990's behind them. When Coach Stoops took over at Oklahoma, the Sooner Schooner was mired in the muck created by having three different coaching staffs in Norman over the previous five seasons, which had led to three straight losing campaigns. Stoops turned the once-powerful program around so quickly that the the Dark Ages between legendary coach Barry Switzer and Stoops tenure have now been all but forgotten. Maybe forgetting that era is why many so-called experts don't give Stoops the credit he deserves for what he did in reviving the most prestigious program of the modern era. Contrasting the teams that donned the Crimson and Cream in the 1990's against Stoops Troops is like comparing the government of the 70's to the Reagan era. The former was a period of incompetence, bumbling futility, and loss of prestige, while the latter was an era of pride, purpose, and restored dominance. After becoming accustomed to big victories, championships and national respect, OU fans watched as their program slowly sank into mediocrity and worse after Barry Switzer was forced out after the 1988 season. Defensive Coordinator Gary Gibbs was named as Switzers' replacement for the 1989 season, but the former Oklahoma linebacker never produced the kind of success that the Sooner faithful had become accustomed to while his predecessor was in charge. Though he managed to clean up the program and his record never included a losing season despite being hobbled by stiff NCAA sanctions, his inability to defeat foes Nebraska, Colorado and Red River Rival Texas contributed heavily to his downfall, as his teams finished a combined 2-15-1 against his toughest opponents. Gibbs was forced out in 1994 after six largely disappointing seasons with an overall record of 44-23-2 and a somewhat misleading .637 winning percentage. However, things had not yet hit rock bottom for the OU program. The Sooner faithful quickly realized the grass is not always greener when they made the mistake of hiring one-and-done coach Howard Schnellenberger for the 1995 season. Though Schnellenberger boasted a solid reputation as the man who had built the Miami Hurricane program, his one year reign of terror was a fiasco. After starting the season at 4-1 and climbing into the top 10 in the polls, his Sooner squad limped to a 1-4-1 finish and failed to make a bowl game. His unpopularity with fans and players was coupled with a rumored drinking problem, and both sides were happy to end this brief but disastrous union after a season-ending 37-0 beat-down by top-ranked Nebraska. Oklahoma State fans, elated over their own Cowboys shut-out victory over big brother in Norman, produced a 12-0 bumper sticker to immortalize the victory over a Sooner team that was in disarray by the time Schnellenberger left town. 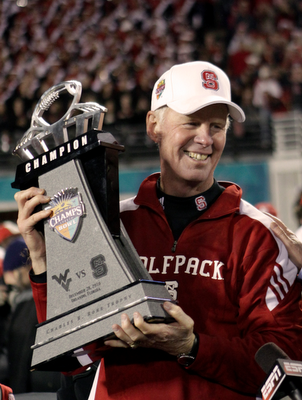 Surely things could not get worse reasoned Sooner fans... or could it? When former player John Blake took the reins on the Sooner Schooner from 1996 till 1998, the Sooners' hit rock bottom. Although Blakes' ability to convince quality players to go to Norman is indisputable, he became a cautionary tale of a head coach-without-a-clue by not knowing what to do with them on the field. The first red flag that Blake was in over his head came early. In only his second game, he scrapped the new pro-style offense that had been painstakingly installed over the previous off-season and decided to re-instate the wishbone offense. 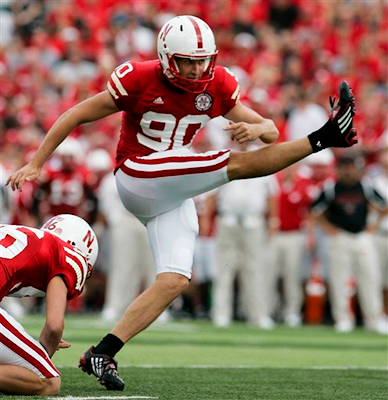 Blake started his career 0-4, despite playing three games in Memorial Stadium. His squad did tap into some long-lost Sooner Magic, beating the hated Longhorns in overtime in the his fifth game, but the momentum was short-lived. In fact, the following week's victory over Baylor was one of only three times his team managed to win consecutive games during his three years of futility. Blake was forced out at the end of a 5-6 season in 1998 with an embarrassing 12-20 record. The Sooners' 10-year record during this decade of decay was a dismal mark of 61-50-2. While an average record of 6-5 may be good enough at some programs, it was a slow death for OU fans. Since 1950 and the beginning of the modern era for the college game (which coincidentally was the beginning of Oklahoma's rise to preeminence), only the 1960's record of 62-40-2 can even come close to the dubious distinction of rivaling this era of ineptitude. Contrast this with the first 10 years of the Stoops era at Oklahoma. From 1999-2008, the Sooner Schooner rolled with Big-Game Bob at the reigns, boasting a sterling record of 109-24. His teams played in seven Big 12 championships and won six . He also brought home the programs seventh national championship while playing for three others. Stoops' Troops averaged 11.2 victories against only 2.4 defeats. His teams have lost back-to-back games only twice on his watch. In his first season, the Sooners lost consecutively to Notre Dame in South Bend and to Texas in Dallas. In 2003, they lost to Kansas State in the Big 12 Championship Game, and then to LSU in the Sugar Bowl for the national championship. That's it as far as losing streaks go in the Stoops era. In 12 seasons, Sooner fans have had to suffer through only two such streaks, and combined they total a mere four games. Stoops squads have the distinction of being the only Big 12 team to win consecutive conference championships. In fact, they won three in a row from 2006-2008, as well as the final conference championship game in 2010, giving him a mark of 7-1 in the now-defunct title game. The Sooners are also the only college team to appear in every BCS game, having played in the Fiesta three times, the Orange twice, and both the Rose, Sugar and BCS Championship Game once each. Add in his Cotton Bowl victory and his squad has played in the six toughest post-season games that the FBS has to offer. Stoops detractors point to his 1-3 record in the national title game and his 6-6 bowl record as their main evidence that he's overrated, but that involves a kind of circular logic that can give his supporters vertigo. 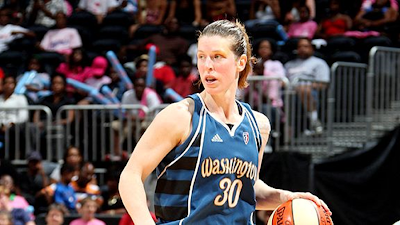 Ask yourself this: How many big games must be won during a season to be in position to play for the highest stakes? 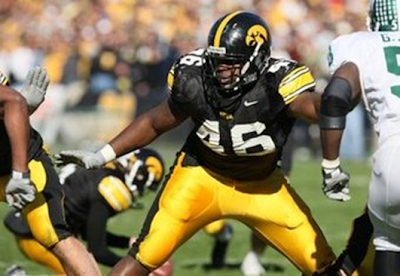 Of his bowl game losses, only the 2004 blowout to USC in the Orange Bowl and the 2007 Fiesta Bowl loss to West Virginia can be called big-game flops. However, USC is acknowledged as the all-time best team money could buy (don't worry Auburn fans, we'll update the list as events unfold). In 2007, OU was down five starters when they lost to a WVU team that started the season ranked in the top three and was itself only kept from the national title game by a late-season upset by their rivals from Pittsburgh. Of the Sooners other bowl losses, they lost to national champions in LSU in Louisiana and Florida in Florida by a combined 17 points, with both games decided in the final minutes of the fourth quarter. The 2006 Fiesta Bowl loss came against a Boise State team that used every trick play in the book to win in overtime and finished the year as the only undefeated team in the country. Considered by many to be a monumental upset at the time, the Broncos have since proven themselves to be among the elite programs in the country. Oklahoma's bowl victories have come against teams like Stanford, Oregon, Florida State and Arkansas. After 12 seasons under Bob Stoops, the average Sooner record is 10.75 wins, 2.58 losses and an average score of 37-18 in OU's favor. Not too shabby, for those of you paying attention. Like Reagan, Stoops often doesn't receive the respect he's due for all of his accomplishments. While Coach Stoops may not have won the cold war and restored the greatness of a country like Reagan did, Stoops has defeated the Sooners' major rivals on the field, and once again has the program at the forefront of the football world. While Stoops, as of yet, is not included in the discussion of the all-time greatest football coaches like former Sooner bosses Switzer and Bud Wilkinson, another national title on his resume and the debate will heat up. Think of this, all you fans of the Team in Crimson and Cream: The Sooners will likely open the season ranked at the top of most of the major polls. 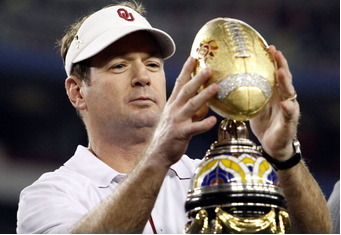 In Stoops' tenure, Oklahoma has played for the national championship once out of every three seasons. Their last appearance was in 2008. KANSAS CITY, Mo. (AP) — Within days of one another, two unrelated and very expensive scandals have finally wound down at Kansas State and Kansas. The embarrassing episodes made headlines around the nation. They cost the state's two biggest universities hard-won prestige, some important friends and millions of dollars. Officials at both schools say valuable lessons have not only been learned, but taken to heart. Individually, the biggest losers are five former Kansas staff members who are headed for prison. But other victims include two highly accomplished executives who are settling into retirement with tarnished reputations. The biggest winner, hands down, was Ron Prince. 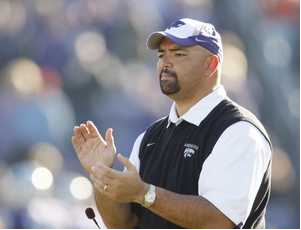 Last week, Kansas State agreed to a settlement with its former head football coach, agreeing to pay him $1.65 million. 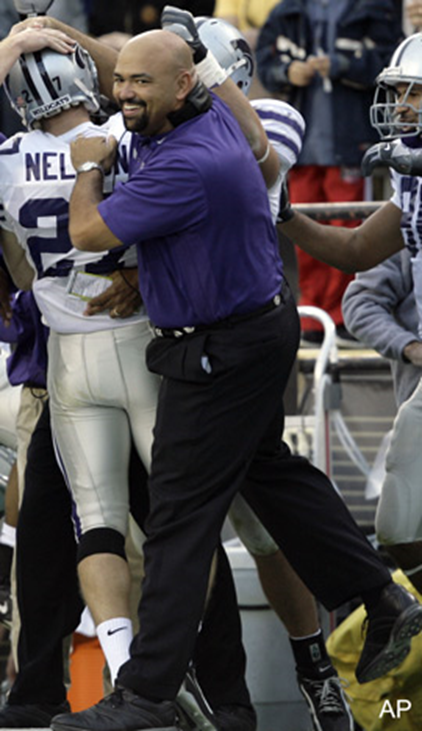 It absolves Prince of any wrongdoing in a dispute over a memorandum of agreement that Kansas State had contended was signed without the knowledge of then-president Jon Wefald. 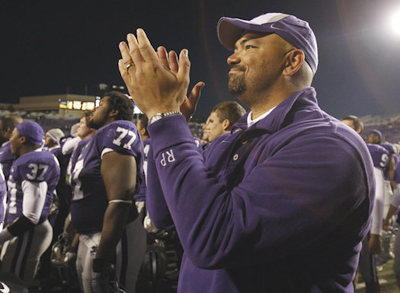 After Prince was fired at the end of the 2008 season, the school said it discovered the agreement signed by Prince and then-athletic director Robert Krause. Under that pact, Prince was supposedly owed $3.2 million by Kansas State and the Intercollegiate Athletic Council in addition to a severance payment of about $1.3 million. Under terms of the original agreement, he was not to receive any portion of the money for almost five more years, and the full amount would not have been paid until the end of 2020. The settlement left many unanswered questions, including why the Wildcats after two years suddenly dropped the fight. "I don't want to get into any of those things," said athletic director John Currie. The Prince matter was the icing on the cake of an embarrassing audit done by an outside firm in connection with Wefald's retirement after more than 20 years as Kansas State president. The audit called attention to many questionable accounting procedures and sent Wefald out the door under a cloud of controversy. Many of Kansas State's biggest donors angrily said they would write no more checks. Wefald's successor, Kirk Schulz, insisted on a policy of near-total transparency. When Currie was introduced at a news conference two years ago, copies of his contract lay on a table in the back of the room. And it was this transparency, Currie said, that brought the people back. "The first year of fundraising, we had a $5 million increase that first year in annual gifts," he said. "It was critical in our beginning to rebuild the trust in our fan base. If we're going to ask people to invest in our program, they need to know exactly where the dollars they invest will go." In the meantime, five former Kansas athletic department officials are going to prison for their part in a ticket scalping scandal. Counting legal bills, the affair has cost the Jayhawks more than $2 million. Ben Kirtland, the highest-ranking official snared in the affair, was sentenced on Thursday to almost five years in prison. He was the last to be sentenced in the case and U.S. Attorney Barry Grissom told The Associated Press it was time for Kansas "to move on." The Jayhawks can't move on fast enough. "Today marks the close of a painful chapter in the history of Kansas Athletics and the University of Kansas as the last of the conspirators in the recent ticket theft case was sentenced," Kansas president Bernadette Gray-Little and athletic director Sheahan Zenger told thousands of donors in an e-mail. Just minutes after Kirtland was sentenced, Gray-Little and Zenger assured donors that steps had been taken to make sure nothing like this ever happens to Kansas again. "We want to thank all of you who stood with the university during this difficult period, as well as those of you who made your concerns and disappointment known," they said. As the scandal grew, athletic director Lew Perkins retired a year early. Like Wefald, his distinguished career was diminished in some eyes just as it was coming to an end. Investigators said he had no part in the scam. But critics will always say his failure of oversight let the school down. Like Kansas State, Kansas has installed new policies and new procedures, all designed to make sure no such thing ever happens again. The Jayhawks have also offered to advise other universities on what happened, and why. They are taking a proactive role in offering to share their experience, and the lessons they've learned, with other universities in hopes of preventing a similar theft. "That's the silver lining you always look for," said associate athletic director Jim Marchiony. MANHATTAN, Kan. -- Former Kansas State football coach Ron Prince says he is satisfied with a settlement reached with the school that calls for him to receive $1.65 million. Announced on Friday, the settlement also absolves Prince of any wrongdoing in a dispute over a memorandum of agreement that Kansas State had contended was signed without the knowledge of then-president Jon Wefald. After Prince was fired at the end of the 2008 season, the school said it accidentally discovered the agreement signed by Prince and then-athletic director Robert Krause. Under that pact, Prince was supposedly owed $3.2 million by Kansas State and the Intercollegiate Athletic Council in addition to a severance payment of about $1.3 million. Neil Cornrich, Prince's agent, said the settlement -- at its present value of $1.65 million -- "essentially represents an agreement by KSU and IAC to pay Coach Prince almost the entire $3.2 million termination payment. Coach Prince will receive these funds upfront and almost nine years earlier than they were originally due, providing a significant financial advantage over the deferred payments." Philadelphia Eagles: Another typical Andy Reid pick for the trenches, with G Danny Watkins bringing immediate impact. They addressed the DB concerns with Jaiqwaun Jarrett and Curtis Marsh. OLB Casey Matthews already has a connection: his brother Clay had the hit on Kevin Kolb that put Michael Vick on the field. Fourth-rounder Alex Henery was highest-drafted kicker since the New England Patriots took Stephen Gostkowski in 2006.